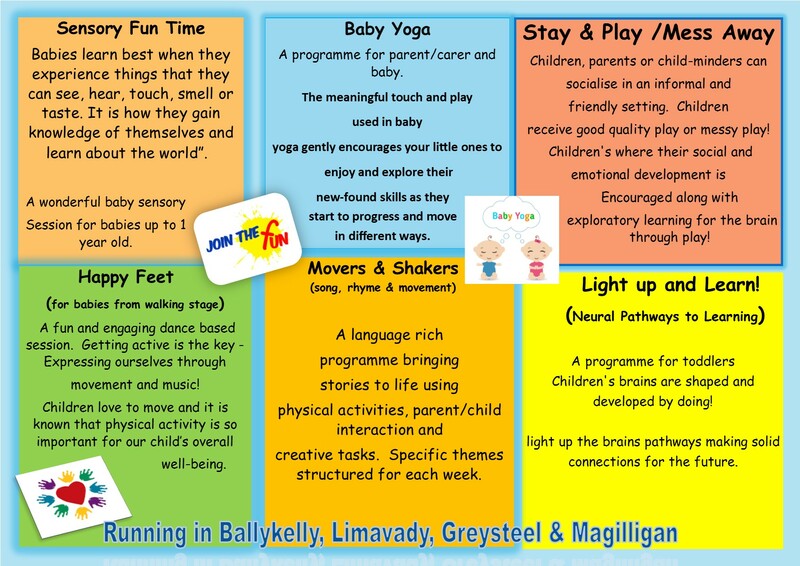 The Dry Arch Children's Centre will be running a number of programmes in Ballykelly, Faughanvale, Limavady and Magilligan. 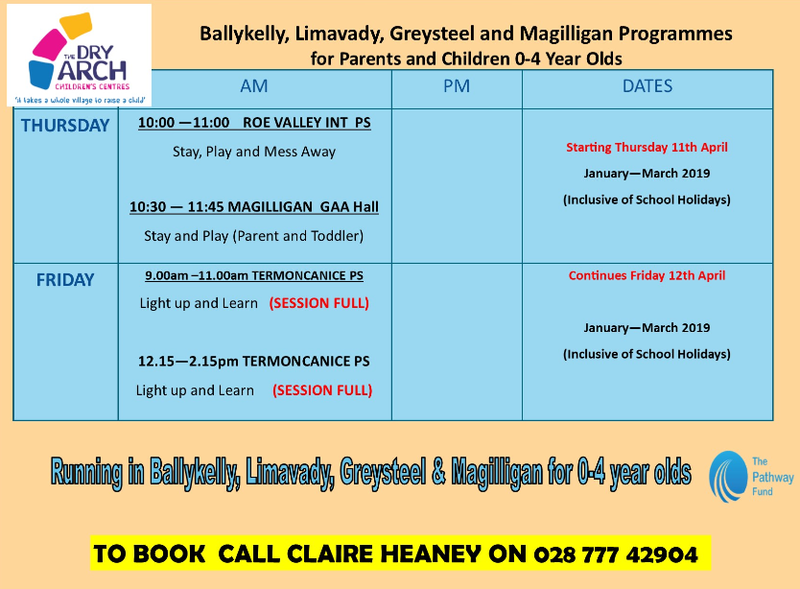 These programmes are open to parents/carers residing within the Limavady District area with children aged 0-4 years. 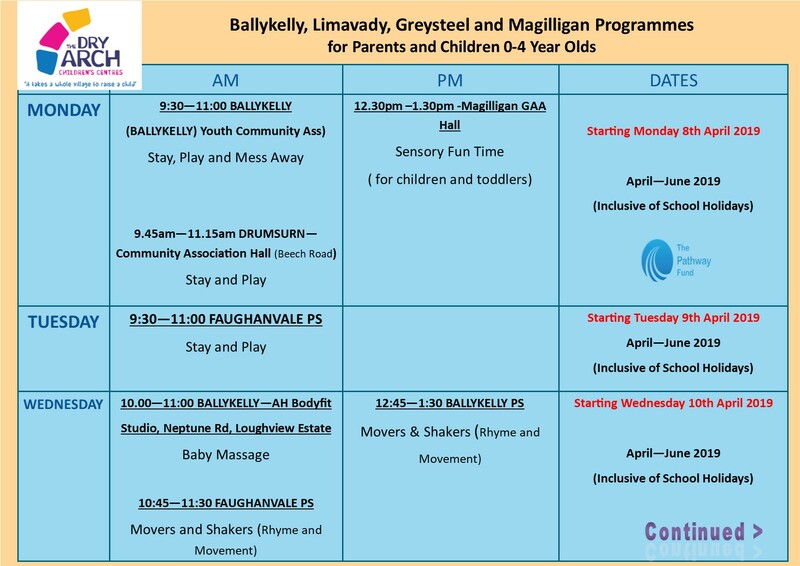 Programmes are due to start on the week beginning Monday 8th April 2019 and are available to parents/carers with children 0-4 years. As some venues can only hold a limited number of places we require parents/carers to book in for each programme in advance by calling Claire at the Dry Arch on 02877742904.